Lotus plants can be found growing in bodies of water. Some pond keepers enjoy the presence of the lotus plant. This perennial plant grows its best during the summer. Lotus plants are native to the United States, and grow rapidly when provided with full sun. 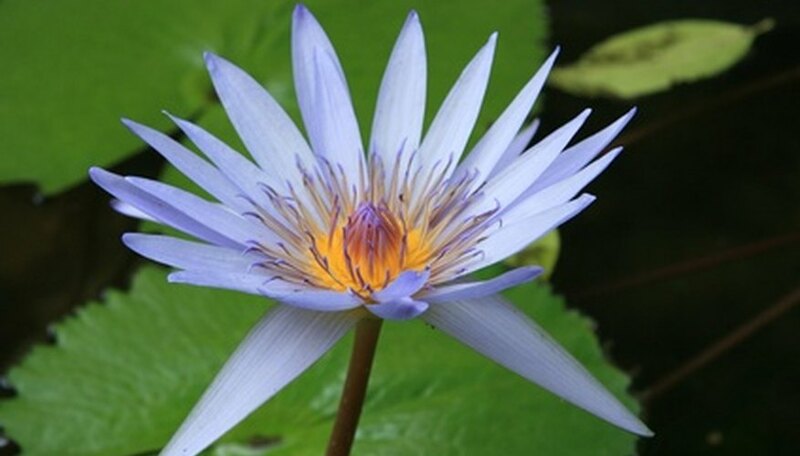 Occasionally, pond keepers have the need to remove lotus plants from their pond due to how rapidly the lotus plant can take over a body of water. Killing the lotus plants completely can take a while, but is a straightforward task. Reach into the water of the pond with a heavy-duty rake, and rake the bottom of the pond. Reach as far out as possible from the bank with your rake. Scraping the bottom of the pond will remove the root tuber of the lotus plant. Rake each area thoroughly, and rake as much material out of the water as possible. Dress in a wading suit, wade out into the pond a few feet, and continue raking. For safety purposes, do not wade out into deeper water. Wading into water up to your knees will suffice. Again, rake as much material out of the water as possible. Use a boat to go out into deeper water in larger ponds. Attach an extension rod to a heavy-duty metal rake and try and scrape the bottom of the lake, from within the boat if possible. Generally, lotus plants will not grow in deep water; the plants will stay close to the shore. Repeat this process in a few weeks. In most cases, you will not get all of the lotus plant roots tubers out of the pond during the first session. Generally, after three or four removal sessions, the lotus plants roots will be gone. On smaller ponds, the rake extension rod should be enough. Work your way around the pond. When working around a body of water, it is always safer to have a partner with you in case of an emergency. Do not wade out into deep water without having someone there. You will not need to wade out into deep water to complete removal of the lotus plants. The deepest you should go is up to your knees.